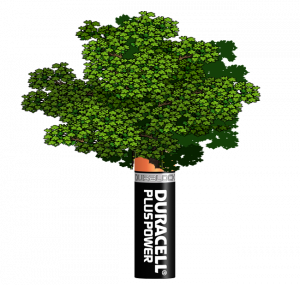 Think of a tree as a solar battery. 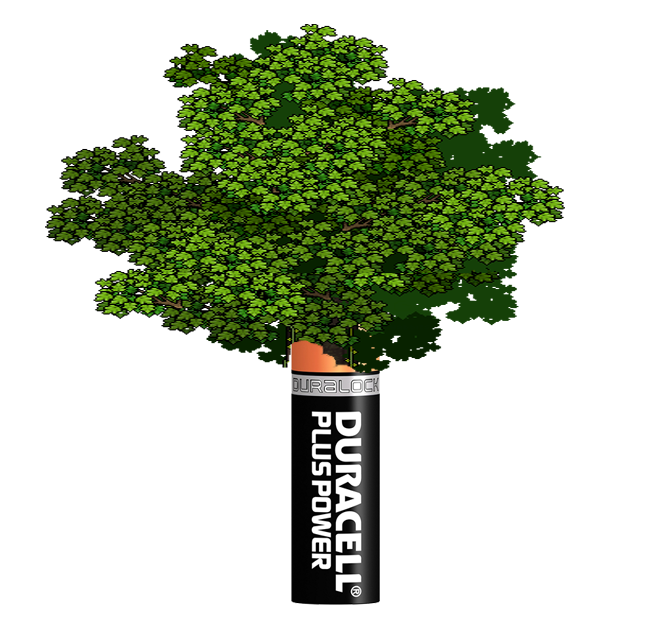 As a tree grows, sunlight, rainfall, and carbon dioxide absorbed from the atmosphere combine to store the sun’s energy. 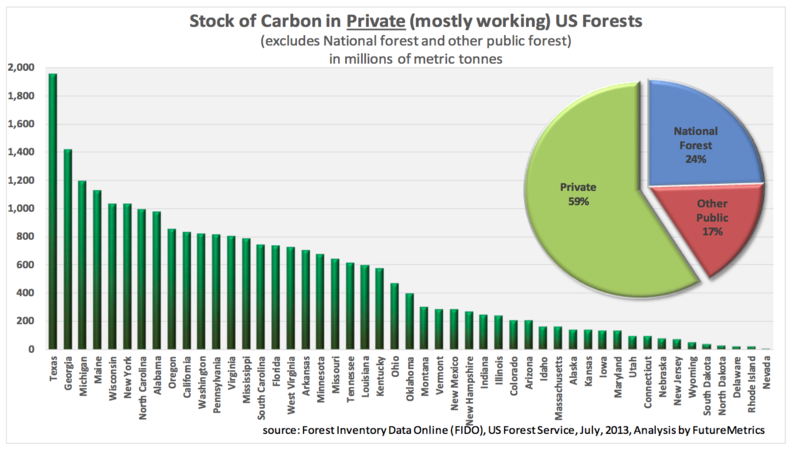 Contrary to popular belief only 25% of US forest are protected as national forest land. Another 17% are other public lands. The rest are privately owned and managed to produce the raw materials for lumber, paper, wood pellets, and other wood products. These land owners are farmers and their crop is trees. Like all farmers, they continuously harvest and replant their plots. Just like many farmers they rotate their crops to produce a healthy yield and healthy soil. In the process, they also protect wildlife habitat, and sequester carbon. That’s sustainable forestry. 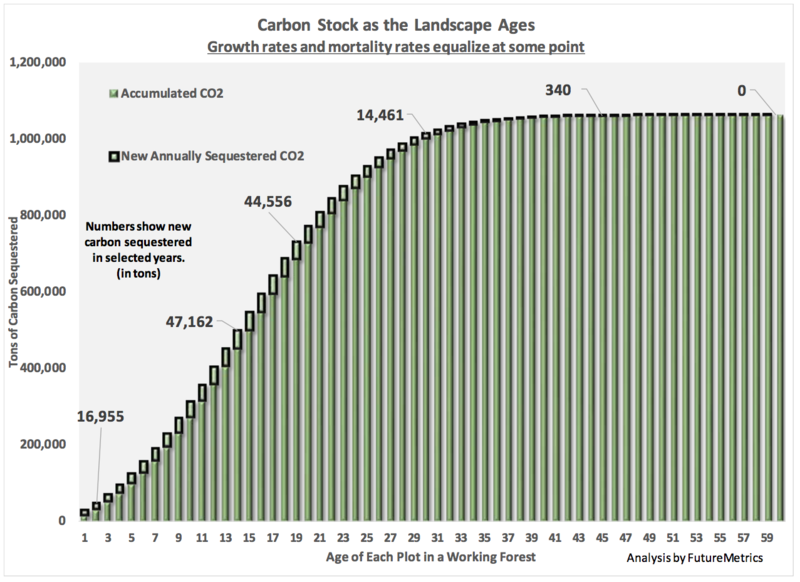 Trees begin to absorb carbon in the first few years of life. 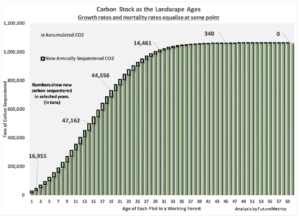 So, the most active absorption happens before the age of 35 years at which point carbon sequestration levels off. Sustainable forestry sequesters carbon while it protects soil and habitat. However, the land owners and forest industry players don’t get paid for sequestering carbon, but that is an important byproduct of the working forest economy. The rise of the digital age has greatly reduced the market for low-grade timber (used for making paper). We have seen the market for all forest products sharply decline in recent years. Burning wood to heat our homes saves trees? How does that work?! The harsh reality is that if landowners cannot continue to make a living from harvesting working forests, those lands will inevitably be sold for housing development. In many cases there is already significant pressure on them to do so, and that pressure will only increase as the next generation steps forward. We have a small window of time to bring back markets for forest products before we see this dynamic take hold irreversibly. And with that we will also see a significant reduction in the jobs and related industries. The same jobs and industries that make up the working lands culture and landscape in North America. Finally, a green heating solution! 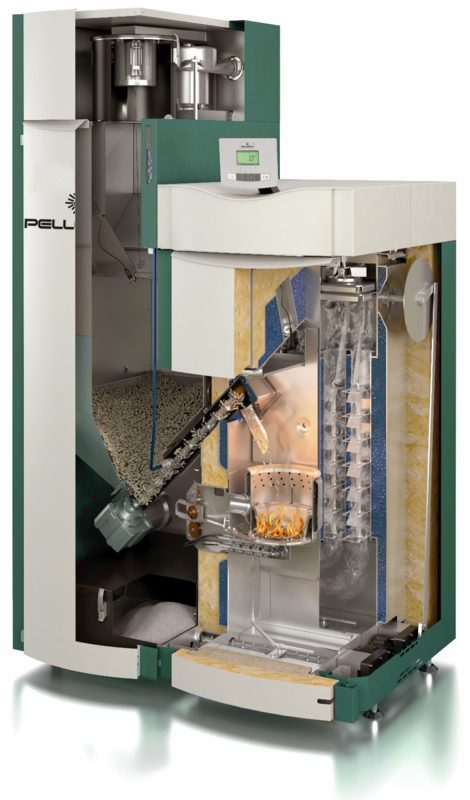 A green-tech pellet furnace is the enabling technology that incentivizes sustainable forestry by recreating the lost market for pulpwood. Over the course of history—from wood, to coal, to oil, and now to gas and electricity—heating our homes has always been environmentally costly. Historically wood has had a well-deserved reputation for being sooty, dirty, and bad for the environment (emissions). Now for the first time we have new, green-heating technology. This makes it is easy for anyone to play an important role in the sustainable wood heating community. From wood and pellet stoves that heat a single-room to whole-house pellet boilers and furnaces, there is a sustainable heating solution for every need and taste. Heating with wood in a new, high-tech appliance is the cleanest way to heat, and a vital link in preserving northern forests.